Yesterday I heard someone say that sitting is the new smoking. And later that grey is the new blond. Then I saw that ice cream shops are the new snack bars and gin tonic the new beer. NEW. It is amazing how fast little Amsterdam changes. The pace is up. And it’s dazzling to come out of an environment where nothing changes andnobody is interested in fast. I love the energy of the city, the feeling that you can get things done, make things happen, anything is possible all of the time. 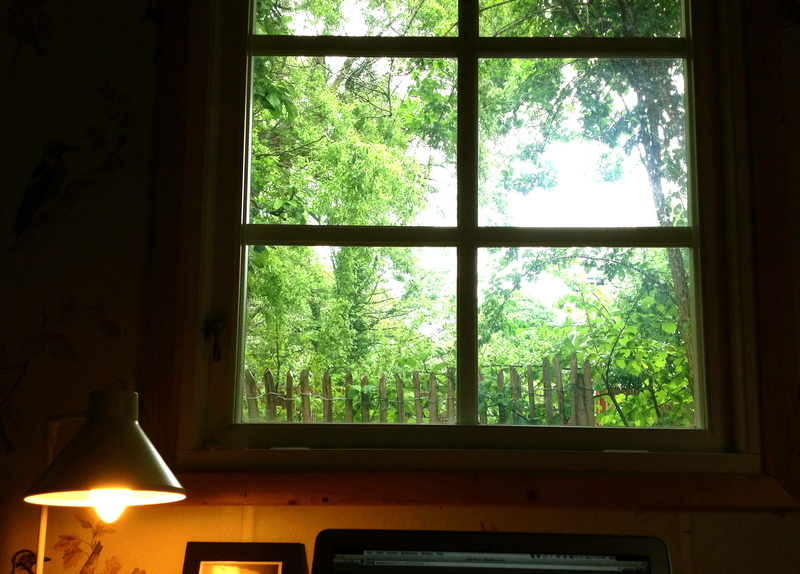 I spend most of my days writing, hidden away in a garden house. Missing out on everything that’s happening. Isolation will be the new connected. Creativity the new cocaine. And some real, human emotion the new perfect. The view from my desk. I can almost imagine being in the middle of nowhere.